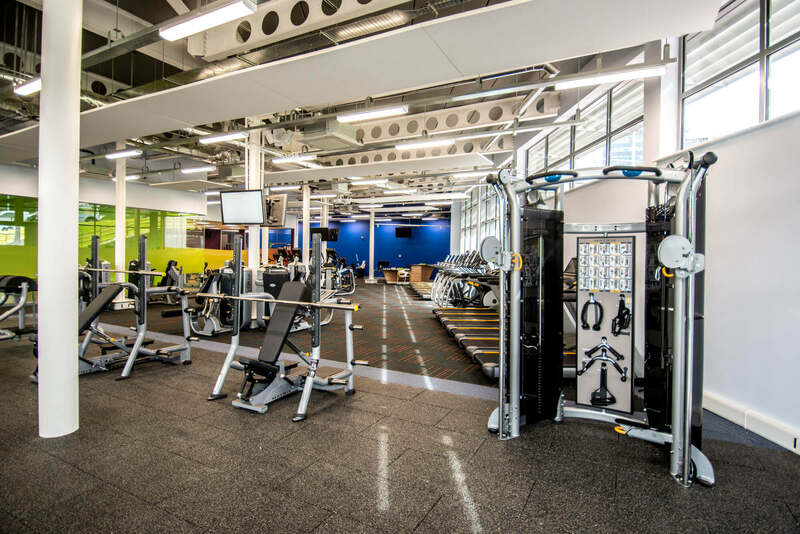 Our fantastic £10.8 million Sports Centre opened in September 2015 and is fully equipped with state-of-the-art facilities. Call +44 (0)1332 591790 or email sportscentre@derby.ac.uk for more details and please read the Terms and Conditions. Shaun Benning - Fitness Manager: Advanced Level 3 Personal Trainer. Fun fact: loves technology (tech geek). Matt Hart - Leisure Assistant: Level 2 gym instructor and BSc (Hons) Sport and Exercise Science. Fun fact: plays Lacrosse in his spare time. Dan Smith - Leisure Assistant: Level 2 gym instructor, Strength and Conditioning Development Team Coach and BSc (Hons) Sport and Exercise Science. Fun fact: slight addiction to peanut butter. Karl Vardy - Climbing Wall Manager: Climbing Wall Award, Climbing Wall Lead Award, Single Pitch Award. Fun fact: climbed Kilimanjaro. 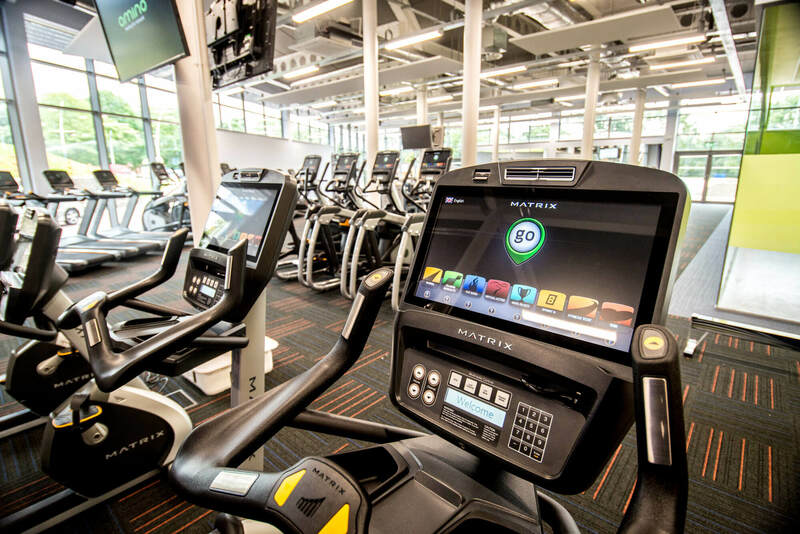 From 1 September, class prices are £3 for students and staff or FREE to gym members. Download the new timetable here. At the Sports Centre, we offer Squash, Tennis and Badminton courts. 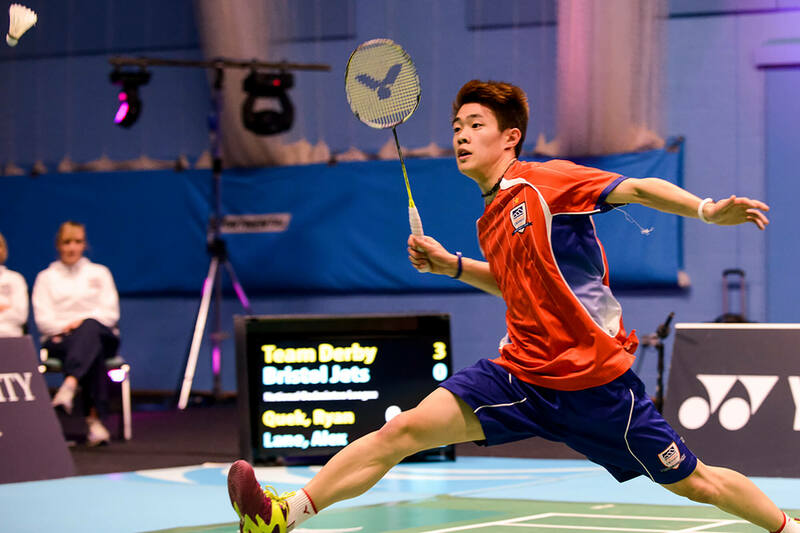 If you would like to book a court, please call +44 (0)1332 591790 or email sportscentre@derby.ac.uk. 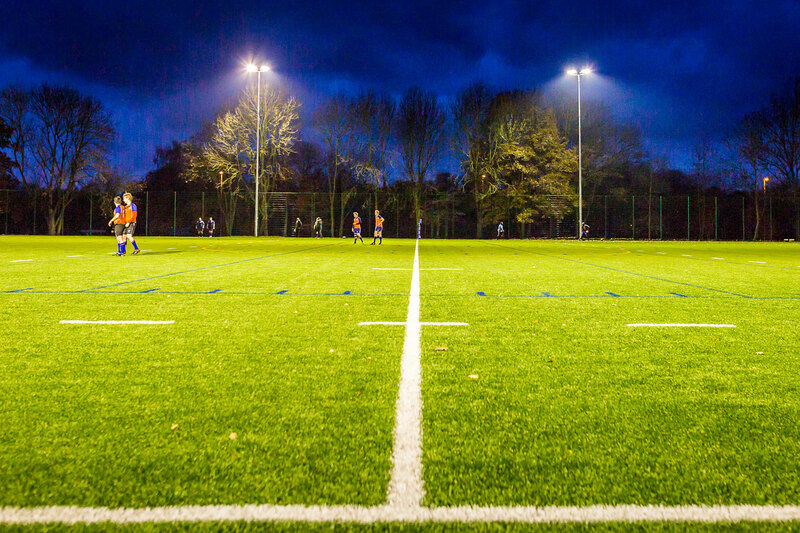 We have two outdoor pitches available for hire, please get in contact for more details. 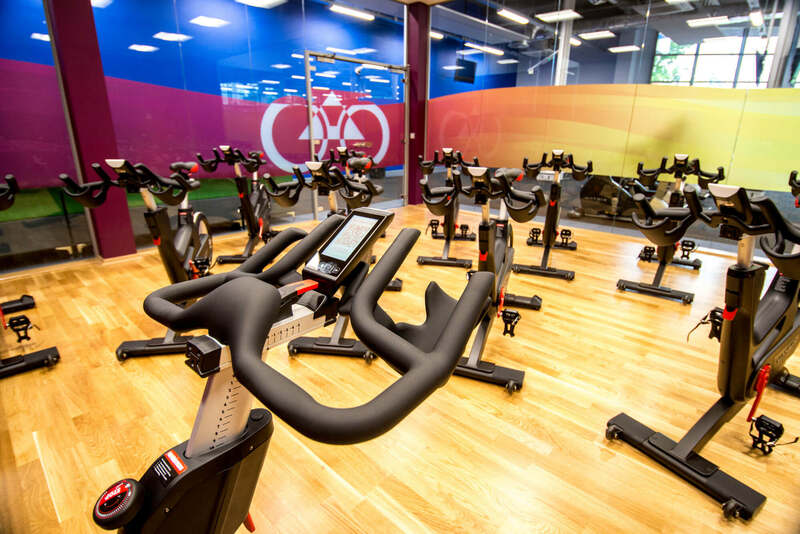 We offer several different Personal Training packages. 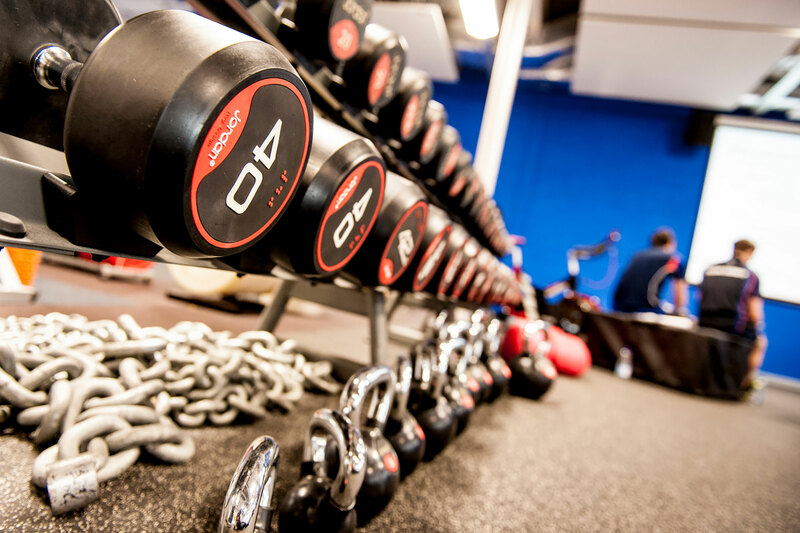 To book a Personal Training session, please call 01332 591790 or email sportscentre@derby.ac.uk. Personal training, including block bookings must be paid for at reception in advance, in order to obtain the above discounts. The University of Derby Climbing Wall offers 164sqm of top rope and lead climbing, abseiling and bouldering. Roped climbing walls are up to 13m long with over 20 individual route options for people of all ages and abilities. The abseil balcony is 10m high with easy access for all. The 4m high bouldering walls provide challenging climbing at a lower level with a crash matt underneath in place of the rope system. The climbing wall is open to groups of all ages and abilities from schools to university students and staff and birthday parties to corporate team building. Competent climbers or those just wishing to boulder can register as a climbing wall user and climb anytime it’s open. For more information, please call 01332 591790 or email k.vardy@derby.ac.uk. Open all normal sports centre times. A fun and educational climbing class for young people. The weekly class will develop climber’s skills from novice to fully fledged rock climbers. The Young Climbers Club is a great opportunity to get involved in a new sport, meet new friends and build up fitness in a fun and engaging environment. Young climbers of all abilities are welcome to join the sessions. Happy Birthday! Get older and braver and come climbing at Derby University. 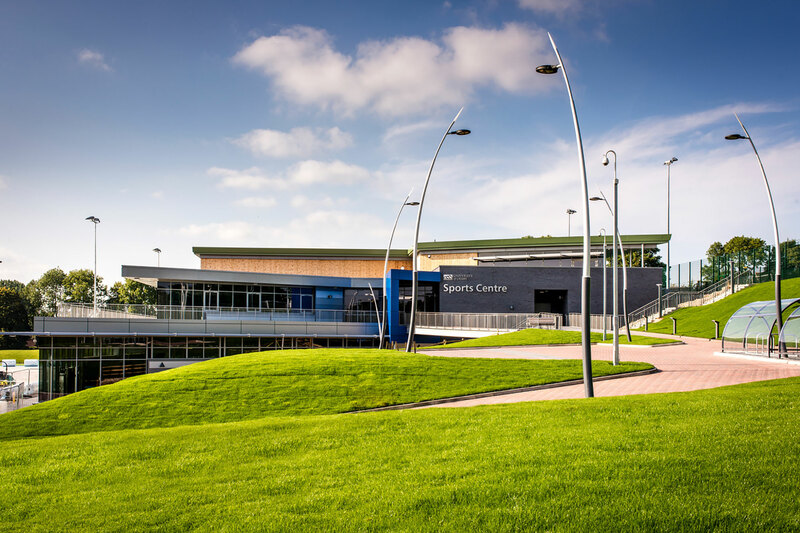 A birthday party at our wall in the sports centre will be a fun packed 1 hour session which includes climbing, bouldering, games and abseiling. Working in teams you will climb and help to keep friends safe on the rope. From ages 7 – 70, a climbing party is the perfect way to celebrate in style. A 1 hour session to try out the climbing wall with a group of friends or family. You will learn what indoor climbing is all about. A taster session is perfect for anyone who is unsure if climbing is for them or for people looking for a fun new activity in Derby. Includes climbing, bouldering and abseiling. An activity filled day for ages 10 – 17, with new challenges each day, including climbing, abseiling and lots of games. We will break for lunch around mid-day, please bring a packed lunch and an afternoon snack. No previous climbing experience is necessary. Indoor climbing offers young people the chance to experience adventure in a safe and controlled environment. Team work, communication and confidence boosts are all a natural part of the activity with challenge, excitement and improving motor skills thrown in for good measure. Climbing provides a physical challenge for everyone regardless of ability level. Different routes on the wall allow everyone their own individual challenge. It’s not just about the exercise either, climbing requires lots of problem solving to work out the best way to use the holds to get to the top of the wall. We can offer a range of sessions to suit your group’s needs, all at a very competitive price. These sessions can be just for fun as a one off taster, an end of term treat or a way to try out the wall before deciding to book a block of sessions. Typically the sessions are between 1–2 hours, including a mix of roped climbing, bouldering and abseiling. Why not use indoor climbing as a practical learning tool to support you sessions inside the classroom. The possibilities for linking a climbing session with your classes are endless, topics such as mountains, forces, angles, gravity, vectors, communication, friction and many more can be tied into the sessions. A block will typically be six weeks to tie in with the school half term. The students will begin the block with a fun session to get a feel for what climbing is all about. Over the weeks everyone will learn knots to tie onto the rope, how to fit a harness properly and how to keep each other safe on the rope. Instructors will adapt the activity to the needs of the group and to each individual. Each child will be supported and challenged in equal measure. Fitting into your time table we can offer sessions right through the day, from GCSE PE classes to after school climbing clubs. A “give it a go” session for people who have never climbed before. This hour will give people a chance to sample the wall before committing to one of the longer courses. Participants can book onto this course as an individual. Over two 2 hour sessions participants will learn all of the essential climbing skills needed to use the wall safely without an instructor. These skills include; how to fit a harness correctly, how to tie onto the rope, how to belay (using the rope to keep a climber safe) and how to use the bouldering wall safely. The aim of this course is to learn the skills for climbing rather than simply having as many climbs as possible. No previous experience necessary, ages 18+. You can book on as an individual but there is a minimum 2 Participants for the session to go ahead. The advanced skills session is designed for people who already know the basics of tying onto the rope and belaying and want to progress their skills to a higher level. Each session will be different depending on who attends. We will aim to work with each person to achieve their goals on anything from honing climbing technique, learning how to train and even lead climbing for people with sufficient experience. There is no need to book as this session is only for people who can already climb safely without supervision. Lead climbing involves starting without a rope in place on the wall and clipping it into the quickdraws on the wall as you go. Lead climbing is an advanced form of indoor climbing and therefore is only suitable for people that are already competent top rope climbers. Over four hours you will learn how to lead climb and belay, picking up techniques and skills that will help you to progress your climbing to the next level. Minimum 2 participants needed for the course to run. Indoor climbing offers participants the chance to experience adventure in a safe and controlled environment. Team work, communication and confidence boosts are all a natural part of the activity with challenge, excitement and trust thrown in for good measure. We can offer a range of sessions to suit your company’s needs, all at a very competitive price. Roped climbing in groups will help to build trust, confidence and communication between your colleagues. The climbing session will be built around a team building theme with ice breakers slotted in between climbs to get the group working together. Typically the sessions are between 1 – 2 hours, including a mix of roped climbing, bouldering and abseiling. Contained Space for the whole group. 10m Abseil with easy access to the top. Access to the wall outside of public opening hours. 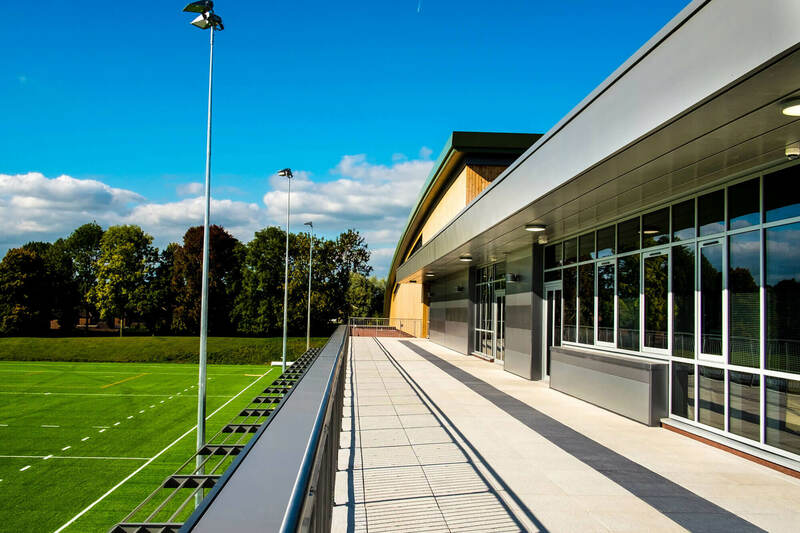 External instructors can use the wall during sports centre opening times from 6.30am – 10pm, Monday to Friday and 9am – 5pm on Sundays. We will not usually be able to admit external groups on Saturdays, however please feel free to ring ahead and check our availability. We strongly recommend booking the wall in advance as booked groups will be given priority. 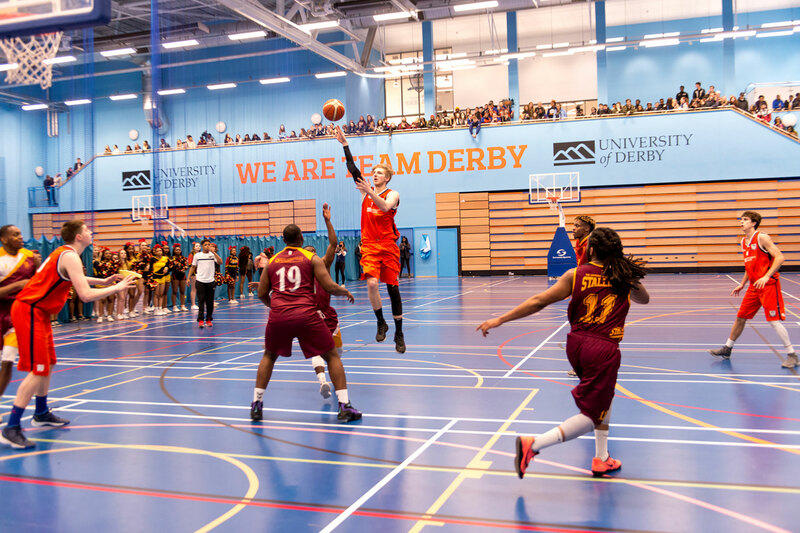 We run a sector-leading performance programme for Badminton, Basketball, Volleyball and Cycling to attract and retain student athletes.